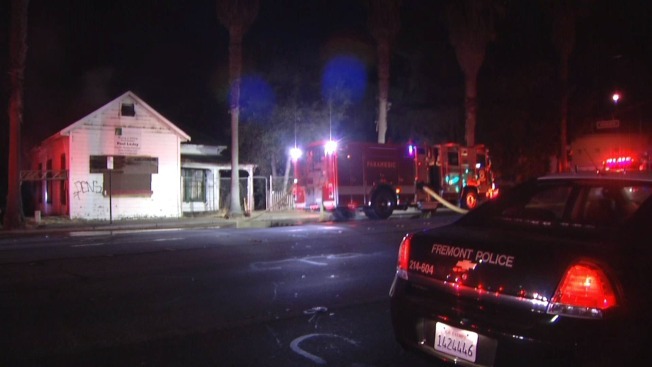 A one-alarm fire at a vacant home in Fremont did significant damage to the structure early Thursday morning, a fire division chief said. The fire was reported at 4:01 a.m. in the 3800 block of Washington Boulevard. There was no one at the house when crews got to the scene, according to Division Chief Diane Hendry. However, officials believe that there may have been homeless people inside the abandoned building when the fire broke out. Crews were able to contain the blaze to the one house, but the damage was extensive. "It was a total loss to the structure, but I don't have a dollar amount yet," Hendry said. "There's an investigator on scene trying to determine cause," she added.